Thursday seems like a good day to make assessments ... to share progress, to check and see what i need for the weekend, to just schedule a 'REVIEW SESSION' for things. You can do that, you know! Grab your daytimer if need be, and pencil in write it in Pen so that nothing will override a few minutes to get a more accurate picture of Life ... as it stands as this brief moment! Peaking in my Knitting Bag will show . 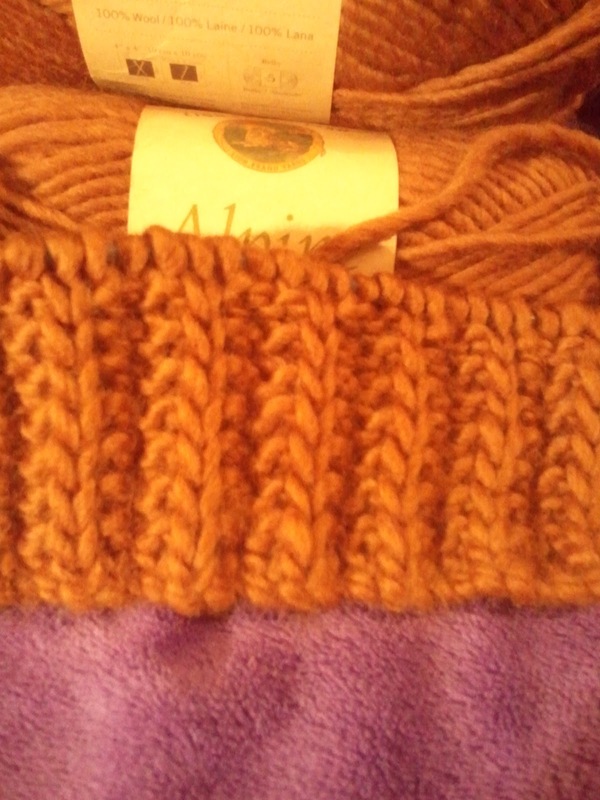 . .
* 2 skeins of Red Heart Pomp-a-Doodle, already made into a fun scarf ... pictures will be added soon! * 3 skeins of Lion Brand Yarn Alpine Wool for a scarf for Bubba .... watch for this one to be added to the New Stitch Knitch Tab soon! 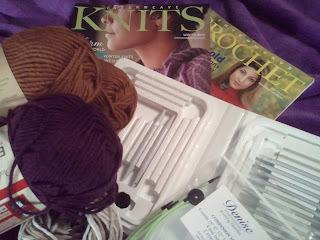 * 3 skeins of this amazing purple in hopes of turning it into a GIANT Cable scarf planned for March! * New skein of cotton for some simple washcloths for my kitchen redo! 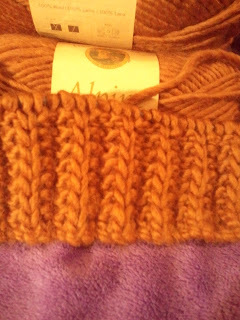 * Gauge swatches done for our 1st toddler hat to go into the AuPair Project basket! Looking back on things i would say it's been a productive week ... but did i mention we also had 2 snow days! So yes, there was some extra time to just sit and knit and ponder on all the blessings of each day ... for the most part i was thankful time and again for HEAT and WARMTH and SHELTER! and i repeatedly found myself Thanking the Lord for those things that i usually take for granted! Looking at my list of things done this week should also include memorizing my Fruit of the Spirit passage - Gal. 5:22-23 .. and spending time on each of the Fruit within those verses ... much to learn ... even MORE to apply! And based on these ponderings i realize and confess that my personal/spiritual To Do list will never be completely checked off, but how sweet to know that He loves me as I am, sees my potential and worth and was willing to give His life so that i one day would share eternal life with Him! This is the day the Lord has made. I will rejoice and be glad in it!